Game of Thrones fans will flock to Donalds Volvo Ipswich when the businesses showroom turns film set to host the hit TV series’ iron throne. 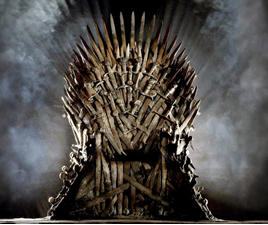 Visitors to the business on the weekend of Mat 14th and 15th will get the opportunity to can take to the throne – normally occupied by the ruler of mythical Westeros – and win one of a selection of prizes related to the series which is screen on the Volvo-sponsored Sky Atlantic channel. Located on West End Road, Donalds Volvo will encourage visitors to come along dressed as their favourite Game of Thrones characters. Donalds Volvo’s marketing manager, Benjamin Grant, said: “I’m delighted that we are able to host this unique event at Donalds for our customers and the local community. “We have so many loyal customers at the dealership and we are always looking for ways to give something back and thanks to Volvo’s ties with Sky Atlantic, we jumped at the chance to host the throne.